Chas M. Cahill | Attorney at Shindler, Anderson, Goplerud & Weese P.C. Chas represents clients in a variety of matters including divorce, child custody/visitation, child support, criminal defense, personal injury, business law, real estate, and contract law. Chas aims to provide the best service to his clients and this is evident in the time, care, and commitment he takes in every single, one of his cases. 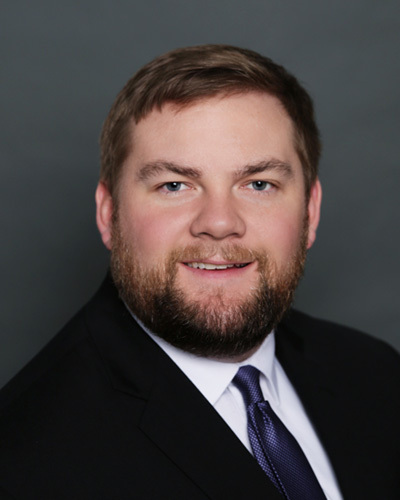 Chas earned his bachelor’s degrees from the University of Iowa in 2015 and his law degree from the Drake University Law School in 2018. He is a member of multiple organizations including the American Bar Association, Iowa State Bar Association, and Polk County Bar Association. In his free time, Chas likes to spend time outdoors either hunting, fishing, or hiking.